Yup. Celebrating. Really! Because who doesn’t love popcorn? And, because yesterday, January 19, was National Popcorn Day. Seriously. It’s a thing. Google it. Sadly, Facebook didn’t inform me of the day-o-popcorn until today. A day late. But hey, I say any day can be the perfect day to appreciate the wonderful, crunchy, salty snack. And I’m lucky enough to boast that the popcorn at Cockamamy Farm comes from, well, Cockamamy Farm! 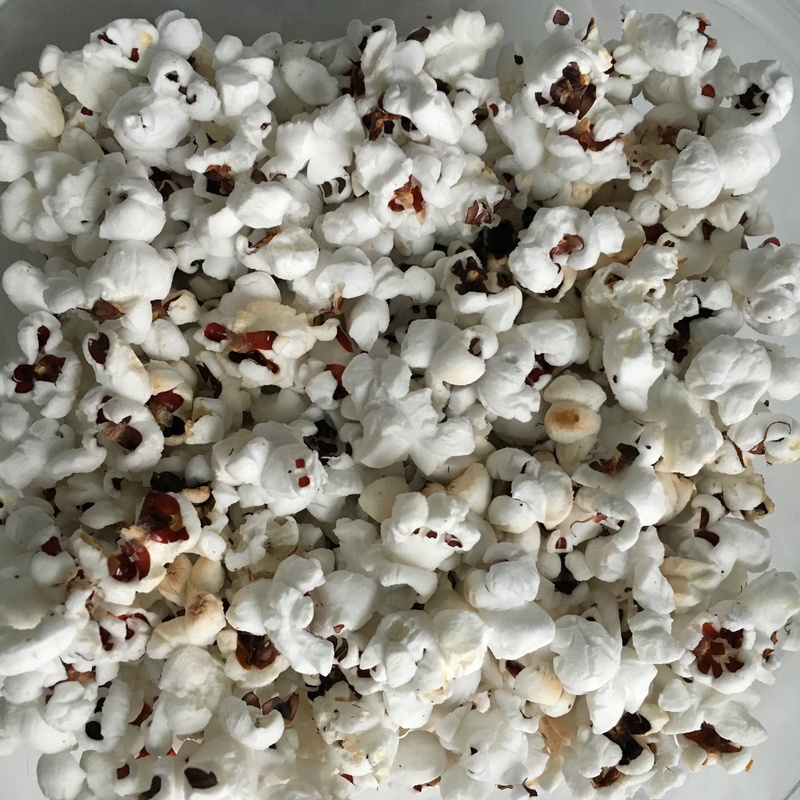 This summer, Ben planted about 20 stalks of Strawberry Popcorn in the garden. 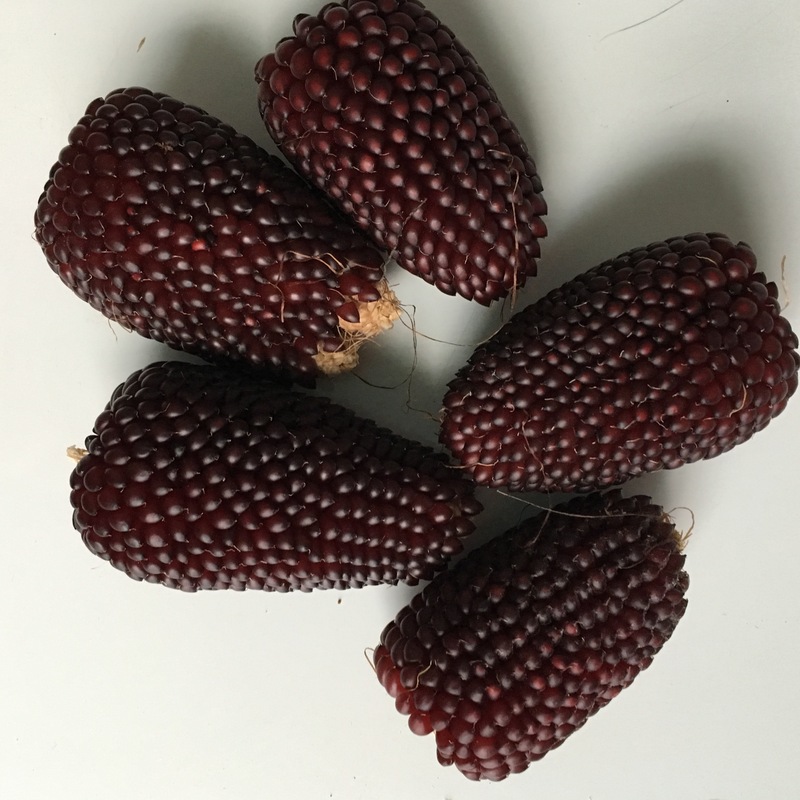 The seeds came from Baker Creek Heirloom Seeds, whose catalog says, “The popular, cute little ears look just like big strawberries, just two to three inches long. The four-foot plants produce two to four ears each.” Cute is right! Not to mention delicious. At the end of the season, Ben harvested a bucketfull of the small, dark ears. I’ve been removing the seeds—just pushing with my thumb to remove the seeds from the dry stalks—as needed to feed our snacking needs. I pop it on the stovetop in our large soup pot with a little coconut oil and finish with a bit of Jane’s Krazy Mixed-Up Seasoning (the original). What a treat to know (really know) where our food comes from! Happy Popcorn Day to you, friends! Why not enjoy a bowl of the fluffy, warm, crunchy goodness to celebrate this way under-publicized holiday? Shoot! i wanted popcorn last night and didn’t even know it was Popcorn Day. We were out. I love Cockamamy Farm.